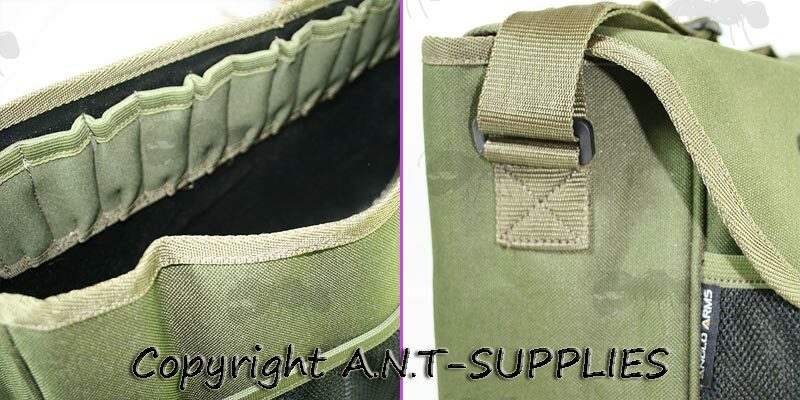 Top quality thick canvas bag. Approx internal measurements, 16.5 x 4.75 x 11.5 inches / 42 x 12 x 29cm (long x wide x high). 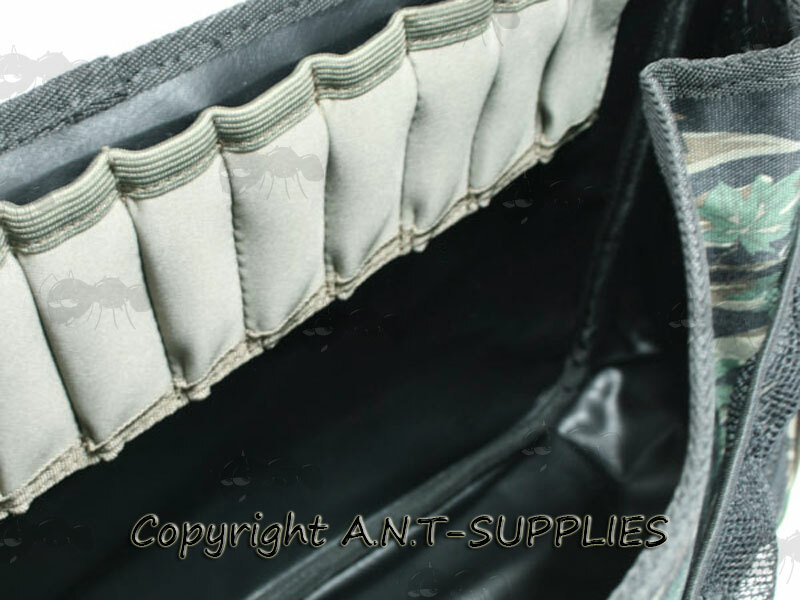 Strong front black mess pouch. Two leather straps with brass buckle fasteners. 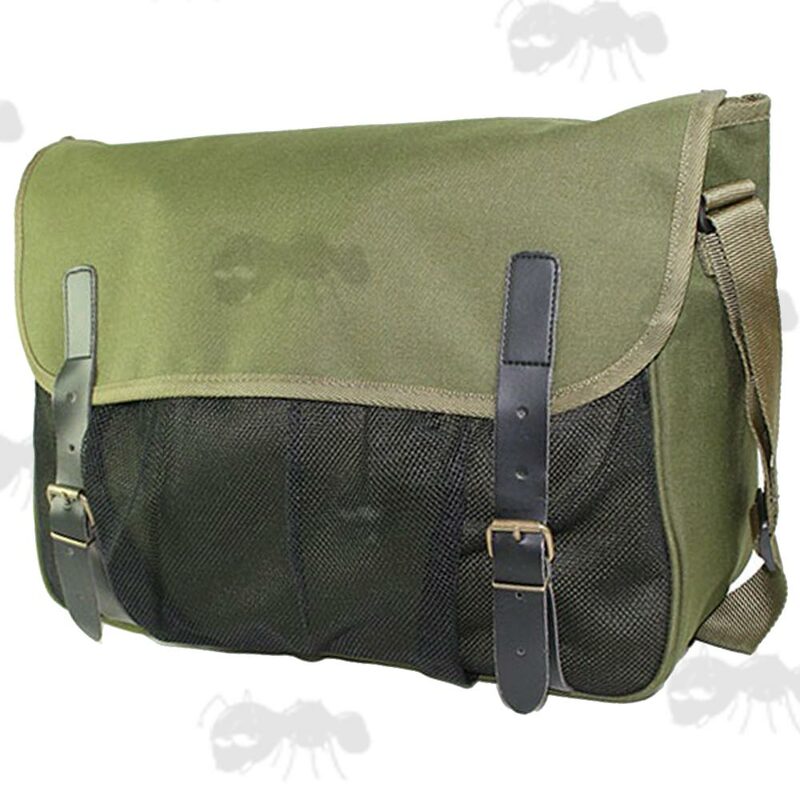 Long adjustable canvas carry strap. 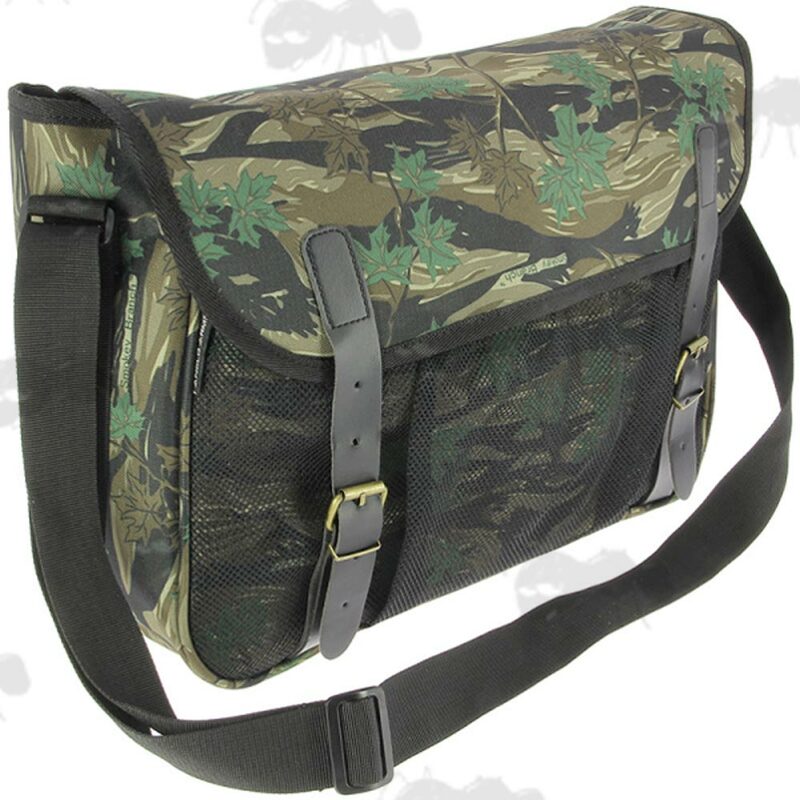 With twelve elasticated pocket type shotgun shells holders inside.